What do you expect from a company that is right in the middle of the mobile device revolution? Rapid growth, estimate-topping numbers, presence inside the hottest mobile devices, and the potential to get better — these would be some of the things that would come to your mind. Well, I have the perfect candidate for you that satisfies all these yardsticks. Although the stock hasn’t done great so far this year and is selling-off as I write this, I believe this is an opportunity you shouldn’t miss. Radio frequency component maker RF Micro Devices, Inc. (NASDAQ:RFMD) is down around 3% as of this writing after releasing its fourth-quarter results. Reason? Well, after reading the following, even you would be befuddled as to why such a thing happened. RF Micro Devices, Inc. (NASDAQ:RFMD) saw its revenue zoom 49% from the year-ago period to $280.6 million in the fourth quarter, comprehensively beating the $252.8 million analyst estimate. Also, the company’s adjusted earnings of $0.06 a share surprised the consensus estimate of $0.05. Most importantly, the company posted a profit whereas it had posted a loss of $0.02 on a non-GAAP basis in the year-ago period. If you thought that the company faltered on outlook, then you’d be wrong. RF Micro Devices, Inc. (NASDAQ:RFMD) expects revenue of $285 million to $290 million in the ongoing quarter, whereas the consensus estimate was just $266 million. On earnings, the company expects $0.07 to $0.08 a share, ahead of the $0.07 analyst estimate. You might be wondering why the stock sold-off, and even I’m thinking the same. The year-over-year readings were fantastic, and ideally, the shares should have zoomed. Nevertheless, this is a great opportunity for investors to buy more of the stock, as RF Micro Devices, Inc. (NASDAQ:RFMD) is one of the more diversified mobile device plays you would ever see. Samsung, Apple Inc. (NASDAQ:AAPL), Research In Motion Ltd (NASDAQ:BBRY), or even Nokia Corporation (ADR) (NYSE:NOK) — you name it, and RF Micro Devices is there. Unarguably, the biggest win for RF Micro Devices, Inc. (NASDAQ:RFMD) in the previous quarter was its design wins in the Samsung Galaxy S4. The company stated in its press release that it “began production shipments in support of a high-volume flagship smartphone containing multiple RFMD components…” and this is undoubtedly Samsung, to whom the company supplied multiple components. The handset, which according to some is the best Android phone ever, is expected to sell in millions with Samsung planning to move 10 million units in the first month. Thus, RF Micro is in a great position with its Samsung account and astronomical sales of the Galaxy S4 should continue to drive its top line. And if you thought that RF Micro’s biggest catalyst is in the rear-view mirror after the launch of the S4, think again. 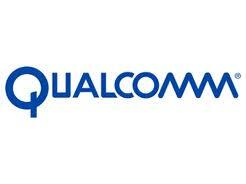 The company had supplied two chips to Apple Inc. (NASDAQ:AAPL) for the iPhone 5. While there might be question marks over Apple’s direction as it faces stiff competition, one thing that shouldn’t be forgotten is that Apple Inc. (NASDAQ:AAPL) is a great advantage for a company such as RF Micro. Apple Inc. (NASDAQ:AAPL) sold 37 million iPhones in the previous quarter, which is still a huge number, and CEO Tim Cook’s statement that “we have a lot more surprises in the works” could provide more boost to RF Micro. If Apple Inc. (NASDAQ:AAPL) adds a cheaper version of the iPhone to its product family, then RF Micro would benefit from the product’s solid sales in the emerging markets. Apart from these two titans of the smartphone industry, RF Micro also had content inside the BlackBerry Z10, the Canadian company’s expected savior. While there has been some controversy regarding the returns of the Z10 devices, the company has moved fast to refute such claims. Moreover, with BlackBerry selling the headset at a discounted rate, they should move more units. Also, BlackBerry is making the right moves to improve its business and this bodes well for a supplier such as RF Micro.